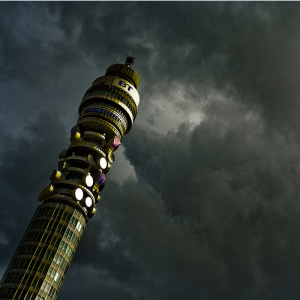 Last September, we were excited to learn, via a story in the Sunday Times, that plans were afoot to re-open the revolving restaurant at the top of the BT Tower, closed since 1980. Gary Rhodes was even said to be in discussions to run the kitchen, and the telecommunications giant was reportedly keen to get things in place ahead of the 2012 Olympics. Sadly, it seems that the project is no longer going ahead. A small note (£) in yesterday's Sunday Times Prufrock column divulged the news that BT have quietly dropped the idea of re-opening the restaurant. No reason is offered for the decision. Bad news for what would have likely been a very popular restaurant, though it's easy to imagine that the logistics in running it haven't gotten any easier since its 70s heyday; it was hit by an IRA bomb in 1971, and was eventually closed due to security reasons in 1980. We'll have to make do with the occasional Open House visit to sate our curiosity for poking around Cold War relics.